In some of the old movies made on gangsters and small time godfathers, I used to notice one henchman applying massage to the back of his ‘boss’. I used to wonder, as no doubt you also do, whether it was a luxury that the boss was enjoying purely by the virtue of his job! But, when I was researching on this topic those images suddenly flashed across my mind. Though I have no sympathy for the nature of work the ‘boss’ was executing, I can surely imagine that the guy must be suffering from job stress. And his henchman, the poor dirty fellow, had been ordered to massage the stress away! Pain - Stress gets reflected in the form of firmness and stiffness in muscles – also known as tone. This tension restricts the supply of oxygen, leading to accumulation of lactic acid and waste products in these muscles. After prolonged periods of stress, this results in soreness and pains in muscles. Chronic Fatigue - Prolonged periods of tension weaken the muscles. When one muscle gets weakened, its opposing muscle is also compromised; slowly it also gives in. It results in lack of coordination between various body parts – muscles, connecting tendons, joints, etc. Since musculoskeletal system consumes largest share of body’s energy, this imbalance brings about a state of chronic fatigue and tiredness. Have you ever noticed how a person develops a slump after long periods of tension and stress? Massage improves blood circulation - With massage, stress is relieved through the manipulation of body’s soft tissues. The massage therapist uses his fingers, fists and feet to apply long, smooth strokes and kneading movements to improve blood circulation in the muscles. It brings in fresh nutrients, releases accumulated toxics and strengthens muscles. Relieves tension - Expert massage therapist recognizes differences in firmness and tightness at different places of the muscles and adjusts pressure accordingly to loosen the tension spots. Massage relaxes and revives the muscles gone flaccid due to tension. It smoothens and loosens the spots gone stiff due to stress. Increases oxygen flow - Massage helps in purging the body of toxics accumulated due to long periods of stress and tension. It causes more oxygen to flow in the body, which helps the body to revive and re-build itself. Boosts Immune system – With massage, stress is seeped away; there is a flow of fresh oxygen and nutrients to the entire system: it strengthens the immune system of the body making it capable of reviving itself. Clears the mind – Increased tension makes you incapable of thinking clearly. 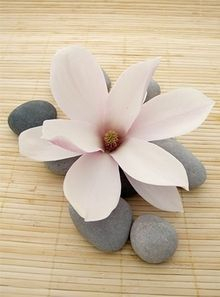 After a soothing and revivifying session of massage, delivered in tranquil surroundings - the soft lights, soothing music, pleasant aromas of massage oils; the massage, delivered at the hands of an expert masseur, clears your mind of exaggerated anxiety and makes you capable of thinking with an unclouded mind. 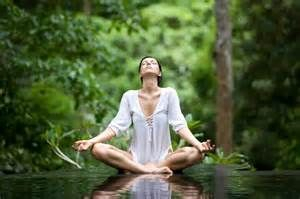 When you are bodily and mentally relaxed, you are capable of taking a more balanced and fresh perspective of your life situation. After a massage session, you feel rejuvenated and more confident. The massage brings about an emotional release and improved balance in body, mind and emotions. Commonly, with massage, stress can be controlled effectively. It is not going to dissolve away all those things that are causing you tension and stress in the first place, but it surely is going to help in making you mentally and physically more capable of taking life head-on! We all know that certain types of constant stress in our lives are not healthy. But did you know that recent evidence indicates the physical changes associated with stress may contribute to the leading causes of death-heart disease and cancer? 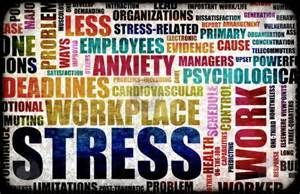 In addition, stress can create and/or exacerbate many physical and emotional conditions such as chronic fatigue, digestive upset, headaches, back pain, high blood pressure and risk of stroke. A recent study conducted by Cedars-Sinai Medical Center in Los Angeles recruited 53 healthy adults and assigned them to receive deep tissue, Swedish and light touch massage. 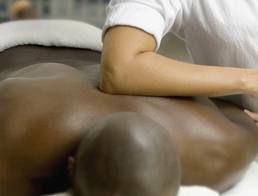 The researchers found that a single session of massage caused biological changes. Volunteers showed significant decreases in levels of the stress hormone cortisol. They also had increases in white blood cells that are part of the immune system. What this study shows is that receiving massage actually activates the body on an internal level to respond and correct the physiological imbalance caused by our stressful lives. By fighting stress on a number of fronts, the benefits of massage for stress relief include relaxation of muscles, an increase in circulation and a reduction in stress related pain. Once your stress level is reduced, you can reclaim the energy you once enjoyed, and experience a refreshed body and mind. Where do you feel Stress? Stress is not only something that you feel when things get a little overwhelming. Stress can be physical, emotional, chemical or a combination of all three! The term stress can be defined as the sum of physical and mental responses to an unacceptable disparity between real or imagined personal experience and personal expectations. In other words, it is a response that includes both mental and physical components. Massage can help you feel better physically by relieving pain from tense muscles, it can promote deeper sleep, increase job performance and decrease mental fatigue. It can also improve immune function and help the body eliminate waste from tissues and cells. Massage restores the individual physically mentally and spiritually. Massage therapy is great when you are emotionally charged from a hard day at work, physically worn out from too much exercise, suffering from migraines, trying to quit smoking or just trying to maintain a healthy lifestyle by taking good care of your body. Whether you have chronic back pain, or are simply using it as a way to keep your body working at its best, the benefits of regular massage are endless! 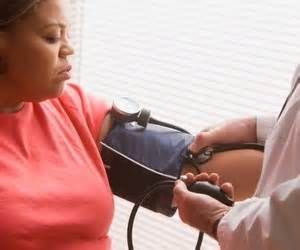 If you or someone you know is looking for natural ways to help lower blood pressure, please visit our Specials & Programs membership page to Learn More. In another study, conducted by the Touch Research Institute and funded by Massage Envy, people with arthritis in their wrist and hand reported less pain and greater grip strength after massage therapy. They also had lower anxiety and depressed mood scores.